Robert Geoffrey Leon, M.D. has been in practice in the Scottsdale area since 1977. He is board certified in Internal Medicine and Gastroenterology. Dr. Leon attained his medical degree at State University New York Medical Center in Syracuse, New York and interned at Maimonides Medical Center in Brooklyn, New York. He completed Internal Medicine residency at Rochester General Hospital in Rochester, New York and was awarded to serve as Chief Resident for the Department of Medicine at Rochester General Hospital. Dr. Leon has been an instructor to medical students and residents throughout his career as well as project physician teaching nurse clinicians at Arizona State University. The practice provides comprehensive medical services within the field of Gastroenterology with special interests in Functional Bowel Disorders, Peptic Difficulties and Cancer Prevention. 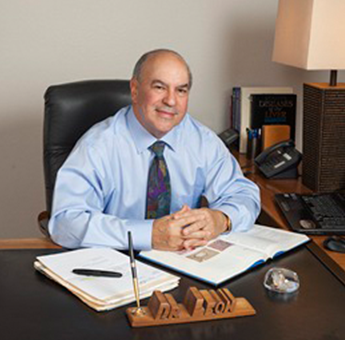 Dr. Leon is on staff at Scottsdale Healthcare – Osborn Hospital and at the Arizona Digestive Center.